Ah, another disappoint YA novel. There seems to be so many lately, I wasn't even remotely surprised by this. 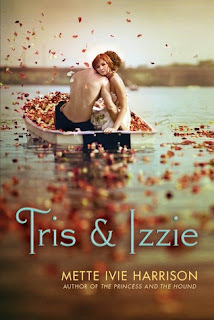 Tris&Izzie is supposed to be a retelling of a Celtic legend "Tristan and Iseult" -title has many variations and the story itself has many origins. From what I know of the original story, Tris&Izzie is pretty close. Well, closer to the movie "Tristan&Izolde", if you ask me. But I have no problem with that, it's a retelling after all. What I had a problem with was the way the author chose to completely butcher her teen characters. Izzie is in high school and in love with what appears to be a great guy, Mark. Hot, an athlete and very good to her. She meets Tristan, who is also hot(duh)and a transfer student to her school. She also has a best friend, Branna, who was remarkably obnoxious from the very first page. Now Izzie, thinks that she must absolutely find Branna a boyfriend so she could be as wonderfully awesome as she herself is with Mark and the four of them could go out on double dates. Her mother is a witch so when she finds a love potion in her desk, she immediately knows what to do: give the potion to Branna and Tristan so they could be in love for ever. However, her mother warned her that the potion will make two people fall in love with each other for eternity, therefore it's very VERY dangerous. But did she listen? No. She thought she was doing the right thing and stole the potion after all. What happens next…well, you can easily guess. In my opinion, Izzie was an immature, self-centered, shallow girl. And also kinda cruel. She thinks Branna is unhappy because she doesn't have a boyfriend and isn't as "popular" and "happy" as she is with her precious Mark. And what does she do? She decides to trick Branna into drinking a freaking love potion which will make her fall in love with a guy she just met. No, no, and no! What the hell? Who do you think you are? How can I possibly read this and still regard Izzie as the love struck heroine and sympathize with her? Pfff not gonna happen.Branna was not innocent in all this, either. You know right from the start that she hates Izzie. I mean real hatred. You can tell by the way she talks to her and her condescending tone. Izzie of course, total idiot that she is, has no clue. And even after all the horrible things Branna does and says about her, she's all "Aw, my bestie! I love her!" Seriously?? ?I would have never spoken to that girl again! Do teen girls in books have no self-respect anymore? None?? Don't let me start on that guy Mel who was about to trick a girl into drinking a love potion, only to be reprimanded by Izzie (um, really now??). Not only that, but because Izzie doesn't like him, she wants to ask Mark to kick him off his clique so other students would shun him and he'd be forced to change schools. What.The.Eff. Needless to say I was never convinced of Tris and Izzie's epic love. So everything in the book happened for absolutely no reason for me. To be honest, I was really appalled by the way teens were portrayed in Tris&Izzie. Like all they think about is how they look in tight clothes and getting themselves a boyfriend and let him define them throughout their high school years(maybe after that as well). 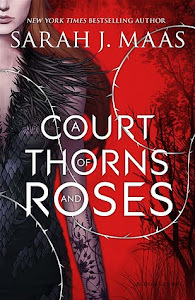 A story based on a 12th century fairy tale about wonderful love between two people should definitely not have protagonists that remind you of people who you hated in high school. Not my kind of heroes.